Mikhail on the Communism Conference; Don’t talk about the car! In an anecdotal bit of ideological truth, among the commentators a light-hearted joy about the car rose up including a question of what kind of car it was, allowing Infinite Thought to chime in and exasperatedly advise, “Aaargh! Discuss the piece! Not the car!”. Oddly this seems to crystallize exactly the kinds of things at stake in such a conference. There is a kind of implicit demand upon the importance of the words being spoken by largely white, middle aged men, the respective stars of academia. It is these men who are dreaming the dream for those who cannot dream for themselves, it seems. Infinite Thought’s turning of our eyes from the car (not that dream! ), towards the real dream (yes!, that dream) allows us to see the normative pre- and pro-scritions of such a discourse. 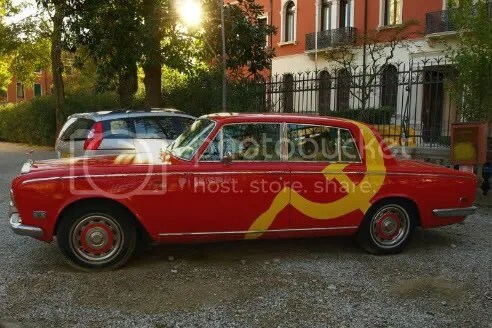 In my mind, the ironic contrasts of the car are actually quite revealing of many forms of communist intellectual conflicts. It is also the case with artists that they are “dreaming for us” and thank goodness so. But with this specific brand of philosophical revival, the attempt to make good on a Political Idea that has been done so very wrong (okay now, so the end of the world did not occur at midnight, the year 2000, what did he REALLY mean? In what way did WE fail him?) that troubles me. 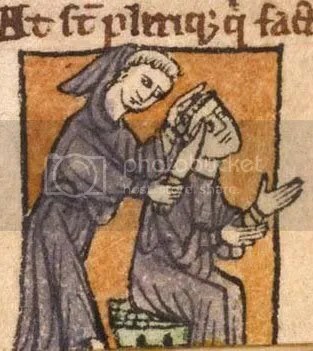 I think that art is very “useful” in the sense that it dreams for us, and philosophy as well, but when description becomes prescription, when artists stop showing us what they see, and telling us how we should see, (then act and do) there is an inherent contradiction which somehow leads to brutal historical absurdity. It is a monastic priesthood all over again. Now yes, it may be very interesting to ASK an artist what he thinks of the situation. There will be a certain feel to her/his words if you have respect for their work. But there is no necessary connection between their process and ours. Don’t get me wrong, I LOVE reading the political philosophers. They are the dreamers of new possibilities of thought as it relates to the concrete world. But they confuse sometimes their role as dreamers with an imagined position of being the ONLY dreamers, or the only dreamer (the one with the correct argument), perhaps the “meta-dreamer”. It is back to that odd realization, philosophers are curious TYPE, and those that have thrived in the academic environments (survival of the fittest), carry with themselves quite a number of, what would be considered genetic defects, out there in the real world of persons and lives lived. When the university arose in the middle ages there was a time when your two best vocations were those of a theologian or a lawyer. A nice, complimentary pair these two. Those that make the real world, and those that critique the makers in the name of something “higher”. What does it mean to not talk about the car?